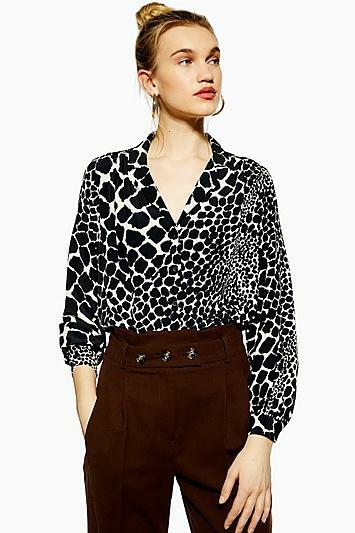 This All Over Giraffe Print Long Sleeve Shirt In Black Does Animal Print The Unique And Fun Way. Tuck The Piece Into Some Must-Have Denim Jeans. 100% Polyester. Machine Wash.